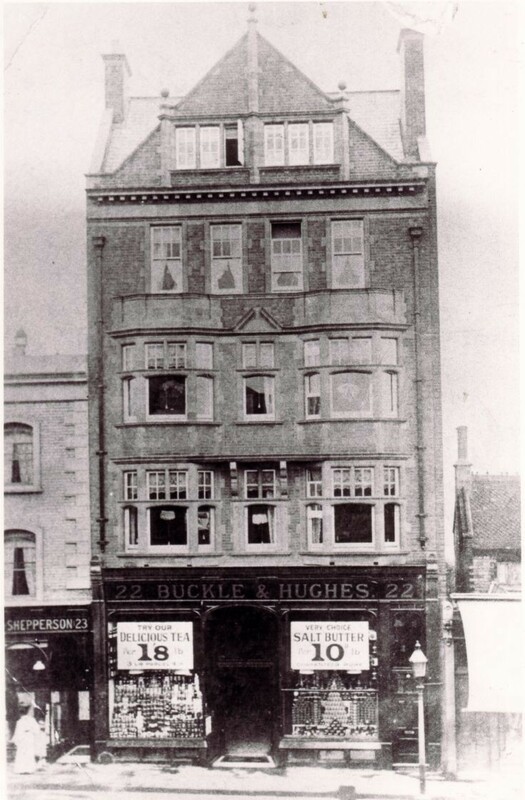 I remember going shopping with my mother to Buckle & Hughes. I would have been about 4. They had biscuits in glass lidded tins and it was a very good shop. They also kept a cat on their premises, as a mouser, who one day had kittens, and we were given one of those kittens!! We had the cat for 17 years. I, too, remember the shop with great affection. Some while back, my children wanted to know how Sugar Paper got its name. My explanation took me back to shopping at B & H.